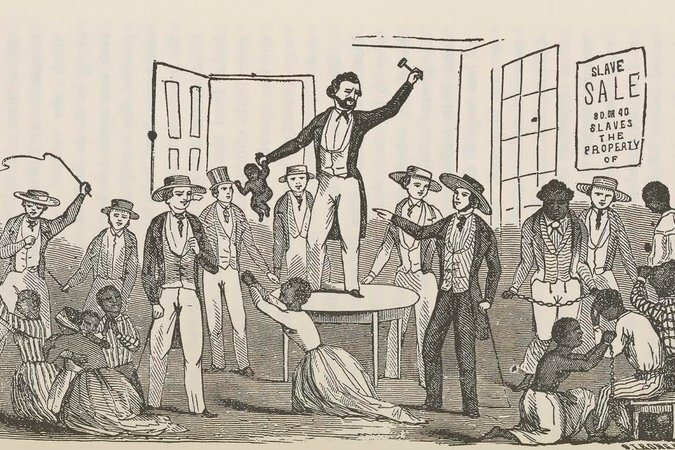 Photo The auction of a baby, from a slave narrative published in 1849. For residents of the world’s pre-­eminent capitalist nation, American historians have produced remarkably few studies of capitalism in the United States. This situation was exacerbated in the 1970s, when economic history began to migrate from history to economics departments, where it too often became an exercise in scouring the past for numerical data to plug into computerized models of the economy. Recently, however, the history of American capitalism has emerged as a thriving cottage industry. This new work portrays capitalism not as a given (something that “came in the first ships,” as the historian Carl Degler once wrote) but as a system that developed over time, has been constantly evolving and penetrates all aspects of society. It is hardly a secret that slavery is deeply mbedded in our nation’s history. But many Americans still see it as essentially a footnote, an exception to a dominant narrative of the expansion of liberty on this continent. If the various elements of “The Half Has Never Been Told” are not entirely pulled together, its underlying argument is persuasive: Slavery was essential to American development and, indeed, to the violent construction of the capitalist world in which we live. Illustrated. 498 pp. Basic Books. $35. Eric Foner, the DeWitt Clinton professor of history at Columbia, won a Pulitzer Prize for “The Fiery Trial: Abraham Lincoln and American Slavery.” His next book, “Gateway to Freedom: The Hidden History of the Underground Railroad,” will appear in January.